Big city life and suburbia have advantages, but sometimes, you just want a journey taking you to the remote edge. Eloping is excitingly romantic, and Las Vegas is the wedding king. However, there’s a natural utopia just 45 minutes from the iconic strip. It’s secluded, sensuous and so uniquely beautiful for Eloping in Vegas. Welcome to gorgeous Eldorado Canyon, one of our Destination Elopement Packages. It’s an area richly steeped in history and home to the once-famous Techatticup gold mine in Southern Nevada. Every quaint corner you turn becomes a stunning wedding photo opportunity in this rustic desert setting and majestic mountain backdrop. Eldorado Canyon comes with a special treat called Nelson’s Landing (Ghost Town), enhancing the experience couples receive in our Elopement Packages Las Vegas NV. 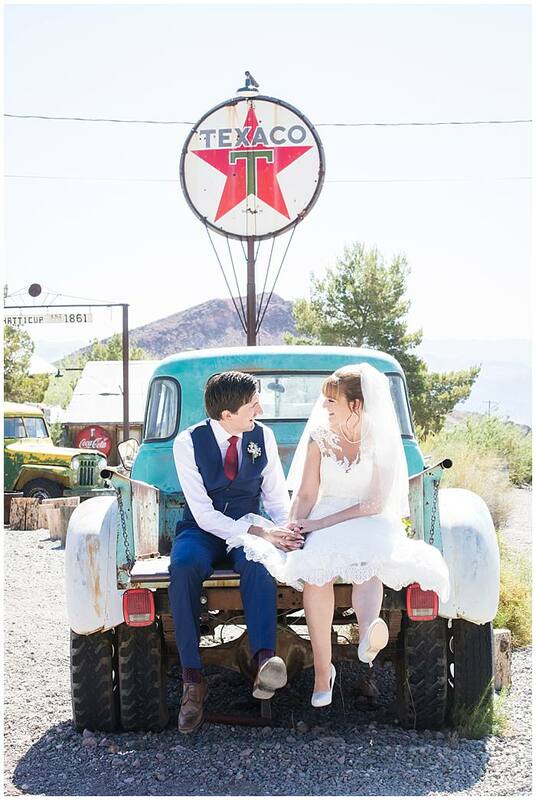 Delightful varieties of cacti dot the landscape, and tying the knot under our wonderful Wedding Officiant Las Vegas offers couples the perfect “I do” private ceremony. 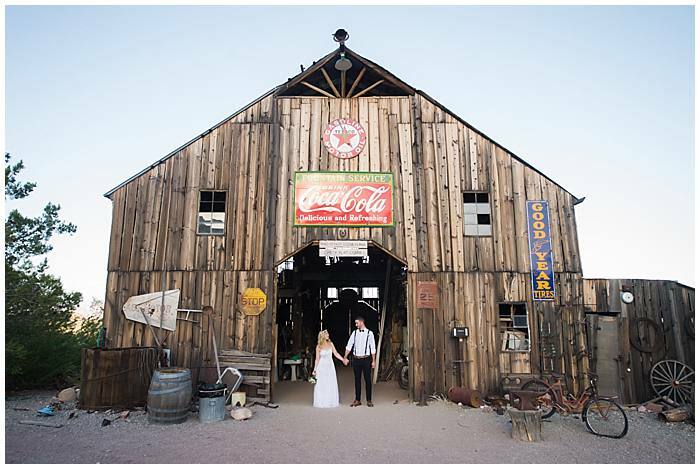 Your Las Vegas photographer creates impressive wedding portfolios by using the beauty of nature and old structures, offering depth and modern elegance to your elopement. Rustic barns, vintage gas pumps and cars and old general stores add photogenic elements. Eldorado Canyon nuptials from our Las Vegas Elopement Packages All Inclusive might sound extravagant in price, but the cost is quite low even for a private property ceremony. For instance, it’s only $100 for two hours and up to 10 people at the lovely Cholla Cactus Garden with its stained glass arch. 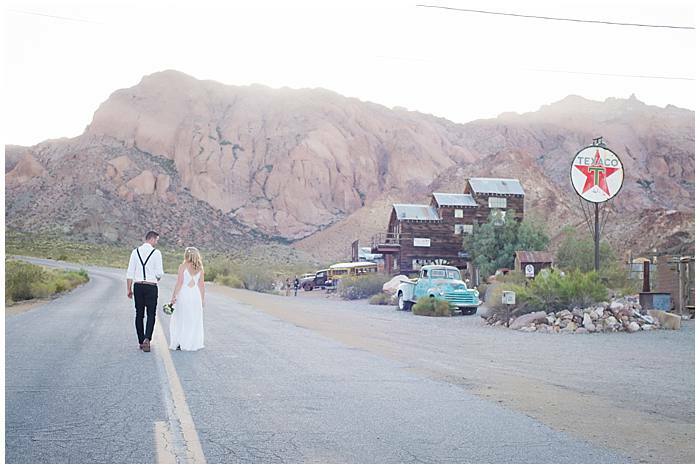 Eloping in Vegas on the outskirts of the picturesque southwest is like no other. 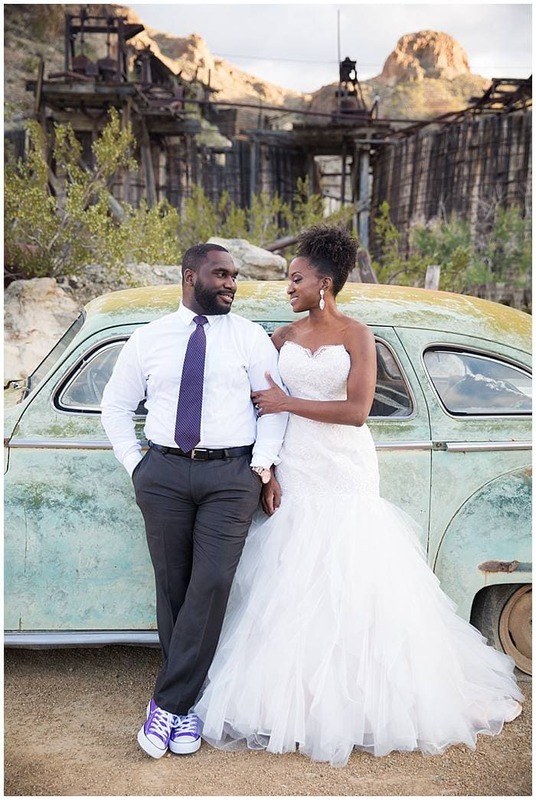 It’s simple, serene and seductive, and when you choose from our exceptional Las Vegas Elopement Packages All Inclusive, you’re getting a gem of a deal. See our favorite Las Vegas elopement packages for two.